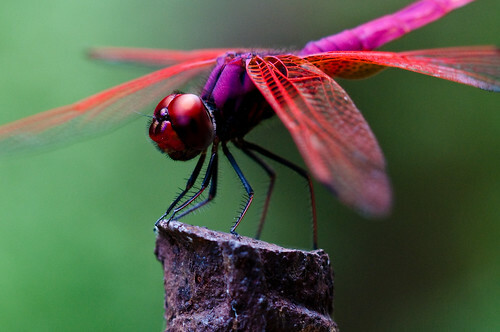 A dragonfly poses in Jhongsing Village. Great shot and that is a very pretty dragonfly! Dragonflies are much easier to photograph than butterflies. When a dragonfly flies away it usually comes right back to where it was. Todd, that’s a beautiful picture. Absolutely stunning. This is a cracker of a shot buddy. I still can’t get over those red wings. Thanks Michael! I love the colors on this species.